Most times, we normally give kudos to apple for the way it benefits out health, but how many of us had actually taken time to analyze the nutrients that makes it happen? According to a report by WebMD, apple provides 107 milligrams of potassium, which assists us in reaching the 4,700 milligrams daily recommendation. This actually means, there are lots of health benefits attached to potassium. Although potassium is the third most abundant mineral in the body, many of us are not consuming it in the right proportion, especially when you consider potassium's wealth of health benefits, including: decreased risk for stroke; improved bone health and brain function; increased metabolism; and growth of muscle tissue, according to Organic Facts. The following list of foods packed with potassium will help you incorporate more of this important mineral into your diet. One of the most commonly known sources of potassium is bananas. They contain over 400 milligrams of potassium and provide a good source of fiber and the vitamins B6 and C, according to Everyday Health. Containing 975 milligrams of potassium, avocados are one of the richest sources of potassium out there, according to Everyday Health. A baked potato, with 941 milligrams of potassium, has more potassium than a medium baked sweet potato, which has 542 milligrams reported the Huffington Post. When made with whole milk, yogurt contains 420 milligrams of potassium. Plain low-fat yogurt has slightly less potassium with 380 milligrams, and Greek yogurt contains 250 milligrams, according to Healthy Eating. Depending on the type, the amount of potassium found in a three-ounce serving of salmon can range from 292 milligrams from canned salmon to 534 milligrams in Atlantic salmon. Meanwhile, Atlantic-farmed salmon contains 326 milligrams of potassium in a three-ounce serving, according to Healthy Eating. The amount of potassium in milk varies depending on the milk's fat content. 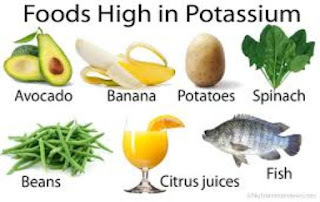 If there is more fat, less potassium is present. Eight ounces of whole milk contain 320 milligrams of potassium while 2 percent milk contains 340 milligrams. Skim and nonfat milk both have 380 milligrams of potassium, according to Healthy Eating. 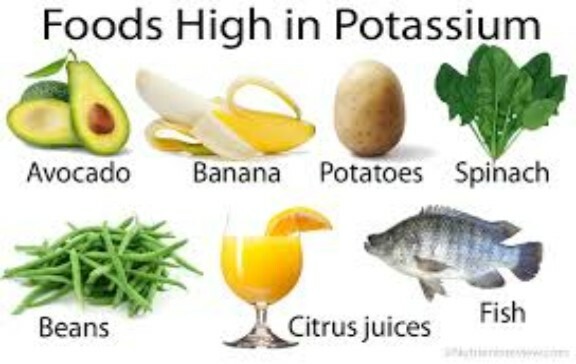 Eating most or some of these foods regularly, will make you enjoy the health benefits potassium have to offer.